Mighty God and loving Father, today I want to tell you how marvelous and wonderful I believe you to be. You are righteous, faithful, holy, and merciful. You are tender, loving, and yet magnificent in glory and incomparable in strength. You have redeemed me from my sin and given me hope beyond my own death. You have filled my life full of good people and have promised me a home with you. You, O God, are without peer and without rival. You are my King, my awesome and majestic Father. 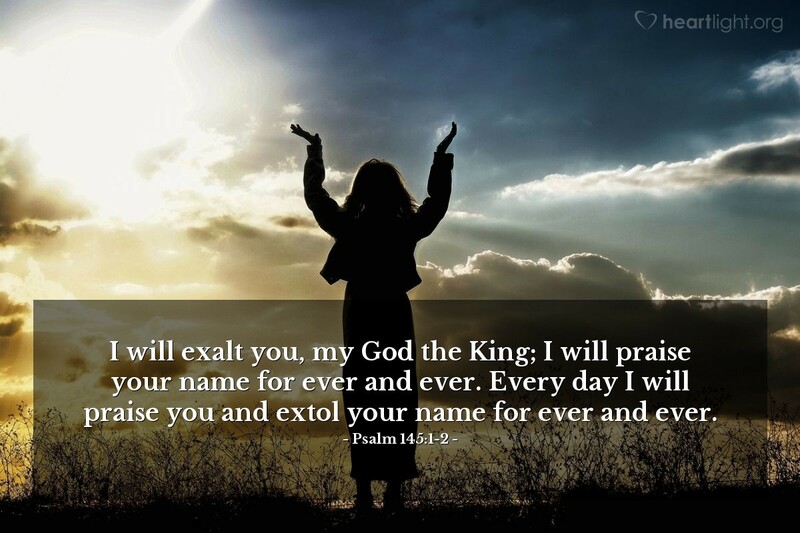 In Jesus' name I praise you, today and forever. Amen.